The 2019 JMM Mobile App is now available for download on iOS® and AndroidTM devices. It is also available in HTML5 format. There is no charge for this app and it is provided by the AMS and MAA strictly for your convenience and to make your meeting experience as productive and enjoyable as possible. Note that this app is available to the general public. The JMM does not use the personal data entered into the app for any purpose. Users are responsible for setting their privacy settings within the app appropriately. 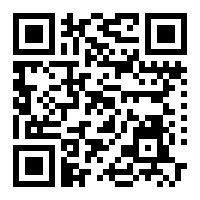 To download the app, enter www.tripbuildermedia.com/apps/jmm2019 into the browser of your mobile device or snap the QR code below. This link is a universal link and when placed into the web browser of a phone, tablet, or desktop computer, it will recognize what device you are on, and bring you to the appropriate place to access the app. Those of you who are on a laptop, desktop or any other device can type this link into the browser and you will be taken to the HTML5 version of the app. Note that PlayStore lists the app as "2019 Joint Mathematics Meeting." Note that on your "Settings" icon, you have the ability to opt in/out of: a) adding items from your personal JMM schedule on the app to your phone calendar, and b) push notifications. Connect with fellow participants on the JMM Twitter, JMM Facebook, and MAA Radical Dash Instagram by clicking on the “Social” icon. Click on the “Baltimore, MD” icon and find restaurant and sightseeing options. You can also check on the weather.